SSVP members “never claim that our work springs from ourselves alone”. Your prayers are a much needed source of strength to us. Whatever your faith you can help us. We particularly appreciate the prayers of people whose health prevents them from physical involvement in our work. Perhaps you want to give your time and energy in a practical way but are not ready for the other commitments expected of full SSVP members. We always need helpers at bus outings, Christmas parties, homeless centres, furniture recycling. Sometimes our conferences could do with experienced help with their bookkeeping. Drivers are always welcome. Whatever your skill we can put it to use. Please contact us at admin@ssvpscotland.com or 0141 226 8833 with your name, postal address and phone number and we will forward your details onto your local SSVP Conference. Even if you do not have enough spare time to join in our work you can help us by making a donation. One part of our work is offering material help such as furniture, caravan holidays and food to people who are struggling to cope. Traditionally we collect small amounts each week in our local parishes. We are equally happy to receive one-off donations. Being a full SSVP member appeals to people who wish to develop their spiritual life through personal service of people in need. Our members meet regularly and visit people in their local community. 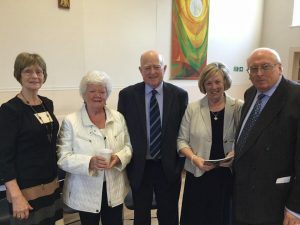 They share spiritually and practically with other SSVP branches in Scotland and worldwide. It is a very rewarding experience. The Society of St Vincent de Paul fully embraces the need to protect the people that we are working with, whether they be children or vulnerable adults. We are also keenly aware of the need to protect our members. For example, it is imperative that members never visit alone, but always in pairs. 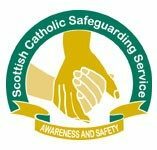 All members of the Society of St Vincent de Paul are expected to register as a member of the Protecting Children and Vulnerable Group Scheme(PVG). This is administered through the Church. On joining a Conference, your President should speak to the Parish Co-ordinator and they will take you through the process. You will also be expected to attend an awareness session on the topic which will be arranged through the Diocese. It is vital that these two procedures are undertaken to ensure the protection of the vulnerable people that we work with and for our members.